VIPAccessEXCLUSIVE: The Wonderful Madisyn Shipman Updated Interview With Alexisjoyvipaccess At The 2016 Nickelodeon Kids’ Choice Sports! If there is one tech-savvy and incredibly fabulous, young lady we’d like to add onto our team, look no further as we would definitely add the one and only Madisyn Shipman! We’ve all instantly become fans of the multi-talented, effervescent and radiant Madisyn Shipman as soon as she made her way onto our TV screens in Nickelodeon’s top-ranked, highly-acclaimed TV show, Game Shakers, where she shakes things up and creates new and super fun games and apps along with her spectacular cast-members. Now that the magnificent show has recently been renewed for a second season, we all are beyond excited for even more Game Shakers adventures and we can’t wait to see what is yet to come in future episodes of the show. In addition to Game Shakers, Madisyn Shipman has exhibited her talent in voice-acting in The Peanuts Movie and she also starred alongside the one and only Billie Joe Armstrong and Selma Blair in the movie, Geezer. Madisyn Shipman is truly one outstanding, vivacious, and exceptional actress, fashionista and role model, and we can never get enough of this lovely lady! 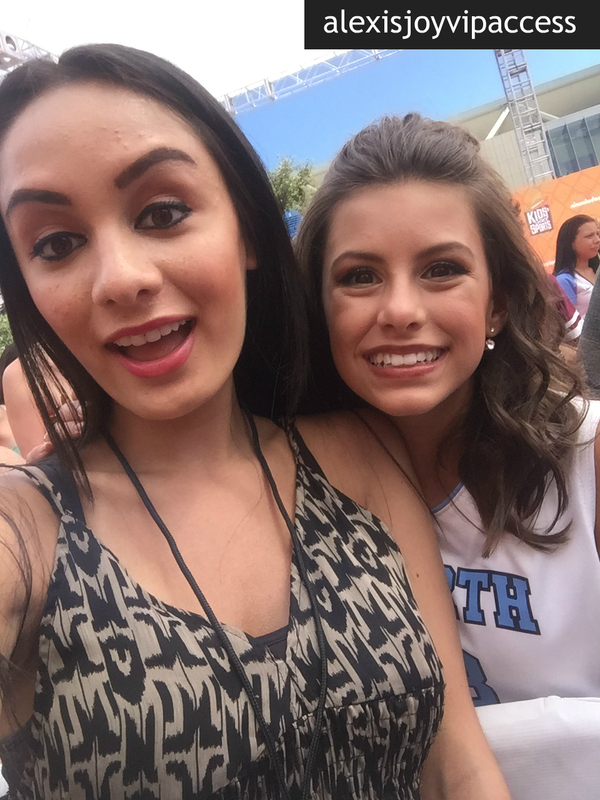 I, Alexisjoyvipaccess had the greatest honor of covering and attending the renowned and prestigious 2016 Nickelodeon Kids’ Choice Sports again, celebrating everyone’s favorite iconic sports stars and sports moments; and I had a blast catching up with and interviewing the dazzling Madisyn Shipman again at the event. Madisyn Shipman dished exclusively to Alexisjoyvipaccess all about how she gets up and gets active, who are two people she would like to add onto her team, and so much more only in our VIPAccessEXCLUSIVE updated interview. Madisyn Shipman even sent out an excellent sports themed message to all of her fans – hear what she had to say in our VIPAccessEXCLUSIVE updated interview below. Thanks for another fun interview, Madisyn – always a great time chatting with you! Check out my VIPAccessEXCLUSIVE updated interview with the gorgeous Madisyn Shipman at the 2016 Nickelodeon Kids’ Choice Sports below! Previous VIPAccessEXCLUSIVE: The Incredible Rio Mangini Updated Interview With Alexisjoyvipaccess At The 2016 Nickelodeon Kids’ Choice Sports! Next VIPAccessEXCLUSIVE: The Magnificent Cree Cicchino Updated Interview With Alexisjoyvipaccess At The 2016 Nickelodeon Kids’ Choice Sports!